At the simulator level, there are two types of node namely analog and digital and they cannot be connected together. At the netlist level it is possible to connect analog components to digital outputs and inputs. When SIMetrix sees an analog component connected to a digital signal, it automatically interconnects them using an interface bridge. It will use an analog-digital bridge to connect an analog signal to a digital input and a digital-analog bridge to connect to a digital output. If you connect an analog component to a signal which connects to both digital inputs and outputs both types of bridge will be used and the digital inputs and outputs will be separated from each other as illustrated in the following diagrams. One problem with the above approach is that the A-D and D-A bridges introduce an additional delay to the signal path which would therefore alter the performance of the digital system even if the analog node does not present any significant load. This is overcome by assigning a negative load to the input of the digital bridge which in effect reduces the delay of the driving gate. In the above example U2 has a negative input load which reduces the delay of U3. 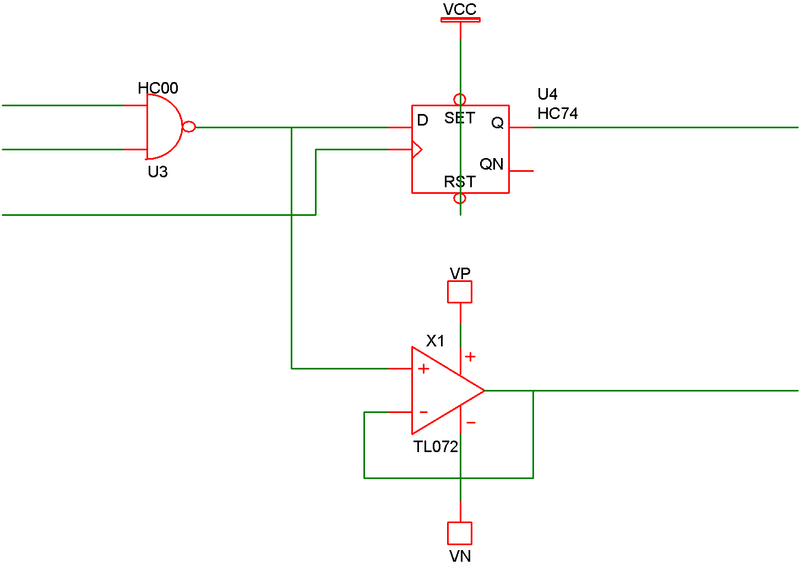 When SIMetrix implicitly places an AD bridge in a circuit, it must choose an appropriate model for the bridge. 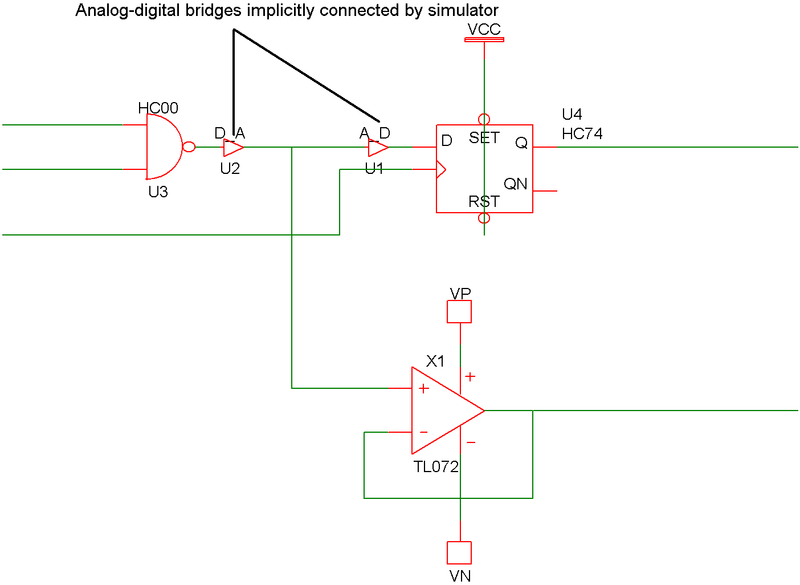 All AD bridges are based on DAC_BRDIGE and ADC_BRIDGE models described in Analog-Digital Interface Bridge, and Digital-Analog Interface Bridge. The model is chosen according to the FAMILY parameter assigned to the digital device to which the bridge is connected. The FAMILY parameter along with the associated OUT_FAMILY and IN_FAMILY parameters are explained more fully in Logic families. Basically the FAMILY parameter specifies the logic family to which the device belongs e.g. 'HC' for high speed CMOS. For example if the family name is HC the D-A bridge is called HC_DAC. There is a selection of A-D and D-A bridges in the model library supplied with SIMetrix. (In BRIDGES.LB).